X30 breaks new ground in Sri Lanka! 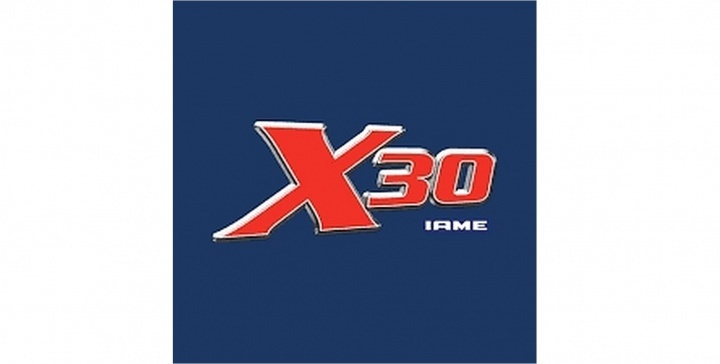 X30 Asia Cup, Sri Lanka Karting Circuit, Bandaragama Sri Lanka (13-14 January). Roaring engines, screeching tyres, exuberant supporters. Not sights and sounds usually associated with sleepy Bandaragama, a laid back town on the Western coast of idyllic Sri Lanka. Roaring engines, screeching tyres, exuberant supporters. Not sights and sounds usually associated with sleepy Bandaragama, a laid back town on the Western coast of idyllic Sri Lanka. All these changed over the recent weekend as more than 600 spectators descended onto the newly revamped circuit to witness the inaugural X30 race in the country – the X30 Asia Cup 2018. Designed to be part of a one-stop leisure and entertainment venue that includes a swimming pool, air rifle range and theme park that is currently under construction, the track at the Sri Lanka Karting Circuit is certainly the best track in this part of the world, and even rivals the very best in Europe. 40 drivers from all over Asia and as far away as Australia were put to the test by the 1,216m circuit, with its multiple elevation changes and extreme corner cambers. The Sri Lanka Karting Circuit managed to exploit almost every trick in the book to expose any chink in the drivers’ armours. To add to the challenge, a wet weekend was forecasted. Fortunately all that the weekend experienced was a passing shower during the official practice on Friday. On the upside, this gave teams the opportunity to gather vital information for a wet setup. Overall, with 10 practice sessions worked into the weekend’s programme, drivers had more than enough track time to learn the intricacies of the circuit. The cadet category saw a line-up of many familiar names – including the three local favourites – Sri Lankan siblings Yevan, Yevin and Yanik David of G51 Motorsport. The rest of the field included X30 SEA regulars William Go (Piers Sexton Racing), Emilliano Cyrus (AutoInc Racing), Shaurya Kapani (RL Karting), and first time X30 driver Ranvir Singh (RL Karting) of India who already has plans to join the X30 SEA 2018 championship! After an exciting qualifying, heats, and pre-final, the pole position for the final race was claimed by non-other than X30 SEA 2017 Champion Yevan David. Sharing the front row was William Go in 2nd . Behind them was Emiliano Cyrus and the other David sibling Yevin in 3rd and 4th, followed by Ranvir Singh in 5th, Yanik David in 6th and X30 rookie Shaurya Kapani in 7th. Despite their young age, there was no shortage of top notch racing provided by the cadet category. The battle between Yevan David and William Go at the head of the field kept everyone on the edge of their seats. Their constant position swapping for the lead left everyone gasping and praying for their favourite driver to come out ahead. At the end of the day, despite the fierce battle between the frontrunners, the final race ended how it started, with Yevan David taking the championship and winning himself a well-deserved entry to the IAME International Finals 2018 in Le Mans, France at the end of the year. In 2nd was William Go who has every reason to be proud of his achievements throughout the weekend, 3rd went to Emiliano Cyrus, in 4th was Yevin David and wrapping up the 5th place on the podium was Ranvir Singh, who put up a mighty performance and showed a clean pair of heels to more experienced drivers in the field. We are certainly looking forward to more great racing from this young gent! Despite the relatively small grid, the Junior category still manged to thrill spectators with nail-biting racing and superb race craft. This goes to show that at the end of the day, it’s not about how many drivers there are in a race, but how close the racing is on the track! The entire weekend was pretty much dominated by two AutoInc Racing drivers Wahyu Norhashim and Kalen Chin, with Wahyu taking pole position for the final race and sharing the front row with Kalen in 2nd. In 3rd position on the starting grid was Danial Hakimi also of AutoInc racing, and Anish Ranasinghe (RL Karting) in 4th. From the get-go, the race was split into two epic battles, one for 1st position between Wahyu and Kalen, and the other for 3rd position between Danial and Anish. There were many overtaking attempts and even more defensive driving on display –a true masterclass in race craft! Kalen managed to fend off Wahyu’s relentless attacks to clinch the championship, with 2nd placed Wahyu crossing the finish line a close 0.395sec behind! In 3rd position was Danial Hakimi, who spent the last several laps looking over his shoulder to check on the aggressively charging Anish Ranasinghe sitting right on his rear bumper. Despite his best efforts, things did not go as Anish would have hoped and he had to settle for 4th place. The Master and Veteran categories saw drivers from various teams from Singapore, Malaysia and Sri Lanka. Pole position in the combined grid for the Final race was occupied by Jason Burns (AutoInc Racing), followed by Adrian Ferguson (Stratos Motorsports) in 2nd, Jeremy Nyam (RL Karting) in 3rd, Lee Lung Nien (7 Racing) in 4th and Kelvin Yong (AutoInc Racing) in 5th. From the first turn of the wheel into T1 in the starting lap, Jason Burns stamped his commanding authority on the race as he dominated the rest of the field and was never under any threat throughout the 16 laps. The field behind was a lot more dramatic, with Jeremy Nyam displaying a heart-in-mouth off-road moment in the very first corner! This allowed Lee Lung Nien to move up two positions to P2. Jeremy Nyam managed to regain his composure and hung on to his 3rd position with Kelvin Yong close behind. But the true man of the moment was Ang Kok Wee (7 Racing) as he drove like a man possessed and was up three positions to P6 by the second lap. A lap later would see him up to P4. Meanwhile, P2 grid sitter Adrian Ferguson was relegated to 9th position, and he spent the next several laps slowly carving his way back up to P7. By this time, Ang Kok Wee was already right on the bumper of 3rd positioned Jeremy Nyam and at the end of the front straight in lap 4, he managed to pull off a text book maneuverer on Jeremy Nyam by diving into the apex of T1 to rob Jeremy of P3. From there we witnessed Ang Kok Wee chase down fellow teammate in the veteran class Lee Lung Nien. By the end of the 8th lap, Ang Kok Wee was already right behind his teammate and was trying to find a way past. Lee Lung Nien, being the level headed driver that he is, was not about to jeopardise their team’s chances of taking a win in their respective classes and waved Ang Kok Wee by as they entered the braking zone into T1. This allowed the younger driver to put in even quicker lap times in his pursuit of the domineering leader, Jason Burns, who by now was at least four corners ahead. Alas this proved a futile exercise and the race ended for the combined grid with Jason Burns taking the chequered flag, followed by Ang Kok Wee in 2nd, Lee Lung Nien in 3rd, Jeremy Nyam in 4th and Jeremy Lee in 5th. Once again the Senior category proved to be one of the most competitive grids to race in. With 17 seasoned drivers racing on a 1,216m track, peppered with long straights and high speed sweepers, the outcome was truly anyone’s guess! Drivers once again gave their all the entire weekend, as they tried their best in the practice sessions to shave fractions of a second off through the 10 right and 10 left hand turns of the circuit by trying different setups, different racing lines and testing over-taking opportunities wherever they thought possible. The top drivers were able to quickly familiarise themselves with the circuit, and each were able find advantages through different sections of the track, though none could string a perfect lap together. In the end pole position for the final race was clinched by Prassetyo Hardja of Stratos Motorsports. Sharing the front row with him was local hero Eshan Pieris (RL Karting). Qualifying in 3rd was Alex Huang, Jace Matthews in 4th and Alex Brown in 5th. The intense battle started the moment the front karters crossed the start line as the front of the grid jostled for positions diving into the first corner. In the melee, Eshan Pieris was bumped and lost a position. Alex Brown seemed the big winner as he managed to move himself up to 2nd position in the opening lap. Akheela Chandra (Stratos Motorsports) also managed to move up from P6 to P4 in the first lap. This only fuelled Alex Huang’s fire to hunt down Akheela, and his efforts were rewarded a lap later as Alex Huang was able to take P4. Not to disappoint his home fans, Eshan Pieris drove a calculated and controlled race as he slowly chiselled away at the gap between him and 2nd positioned Alex Brown and was finally able to make a move in lap 5 by conducting a masterclass in overtaking to dive into the apex to reclaim P2 from a defenceless Alex Brown, before continuing his onslaught to hunt down the leading Prassetyo Hardja. Meanwhile, Alex Huang has also been slowly chipping away at the times and was also able to take advantage of the slipping Alex Brown to take P3 in Lap 6. From here the action belonged to Eshan Pieris as he used every trick in book to try to take the win and do his home crowd proud. However, the equally quick and experienced Prassetyo Hardja was able to fend off his attacks for the next 15 laps to take the championship in the Senior Category. Eshan had to settle for 2nd in the end, with Alex Huang coming in 3rd. Alex Brown and Akheela Chandra wrapped up the podium finishers coming in 4th and 5th respectively. All in all, the closing action summed up the exciting and extremely high level of racing witnessed throughout the weekend at the X30 Asia Cup 2018! Stay tuned for more X30 racing action as we look forward with bated breath to Round 1 of the X30 Southeast Asia 2018 Championships!